Netflix (NFLX) has identified its next foreign market. The popular video service revealed on Wednesday morning that it will roll out its premium streaming platform through Norway, Sweden, Denmark and Finland later this year. There won't be any optical discs or distribution centers to open across Scandinavia. There won't be the option to rent movies on DVD or Blu-ray discs the way that stateside customers can. Holding to Netflix's strategy when it entered Canada two years ago, Latin America and the Caribbean last year, and Ireland and the U.K. earlier this year, this will be exclusively a digital streaming offering. It's just as well. The optical disc continues to fade in popularity at Netflix, and now less than a third of its 30.1 million subscribers continue to pay for physical rentals. "We've decided to open an additional attractive European market in Q4 of this year," Netflix wrote in last month's quarterly letter to shareholders. "We will have more to say about this market later in Q3." Well, the company's talking now. The Scandinavian push is somewhat surprising. After securing licensing rights for Spanish and Portuguese content last year for its streaming service in South America, Spain and Portugal seemed to be logical choices for its next markets. And given Europe's sovereign debt crisis, the relatively sturdy and financially stable Germany would've been a sound fiscal choice. However, after running into fierce competition in the U.K. earlier this year with BSkyB and Amazon.com's (AMZN) LOVEFiLM offering similar platforms, Netflix is probably identifying expansion markets based on its likelihood of success. Expansion bears a price, and that's the one thing that shareholders aren't looking forward to as Netflix continues its global rollout. Netflix braced investors earlier this summer for the probability of a quarterly loss during this year's fourth quarter as it expands in Europe. Netflix also posted a small loss when it introduced its service in Ireland and the U.K. earlier this year. Some analysts believe that Asia is next on Netflix's attack strategy, and it remains to be seen when the company will be strong enough to sustain overall profitability as it absorbs international expansion costs. The No. 2 U.S. automaker's stock is down almost 50% this year, from $18.97 to around $10.60 (as of the morning of Dec. 29). That's despite the fact that its revenue and American vehicle sales continue to rise. The U.S. car and light truck market recovered substantially this year and may be up as much as 15% from 2010. There is a great deal of evidence to suggest that as the consumer sentiment recovery proceeds and interest rates remain low, buyers will re-enter the car market. Yet Ford (F) shares have been caught in the downdraft created by fears of a possible second recession. The chances of that, however, continue to recede. In addition, Ford has particular strength in the SUV and light truck sector, which is where a great deal of the sales growth in the U.S. has come from. It has the best selling pickups in the U.S. -- the F-series -- and the Explorer SUV. Ford is also strong in the rapidly growing markets of Latin America and Asia. The final factor in Ford's favor is that the average car owned by American households is now 5 years old. That's well above the historic average, and many analysts think this huge pool of aged cars will soon start being replaced. RIM (RIMM) is on most analysts' lists of takeover targets. Its recent problems, including slow subscription sales, the lackluster reception of its Playbook tablet, and late product launches, have pushed the stock to a seven-year low. It's troubles are so severe that some analysts think RIM is no longer a valuable acquisition. That's not true. RIM's remaining strengths are great, and in some ways, unique. First, the company has 75 million subscribers, a large portion of them are overseas in places that Apple (AAPL) has been slow to build its iPhone distribution, particularly in China. Next, RIM has an operating system that has not been drawn into the large number of patent lawsuits that Apple, Samsung, and the Google (GOOG) Android based smartphones are embroiled in. By avoiding IP disputes, RIM can watch from the sidelines court battles that could cost the losers billion of dollars. RIM's share price is $14.25 (as of the morning of Dec. 29), compared to a 52-week high of $70. It trades at an extraordinarily low of 0.37 times total sales. That makes it a fine target for several companies that will want to hedge their bets in the smartphone market -- among them Microsoft (MSFT), HTC, and Samsung -- the No. 2 handset company in the world. The media has recently reported that Microsoft and Nokia (NOK) have considered a joint bid for RIM. Apparently, Amazon (AMZN) has as well. Any consideration these companies make a definite offer is likely only in early stages, if an official offer is to be made at all. These rumors have pushed RIM share up 10%. Netflix (NFLX) is also on a number of takeover lists, as it should be. The stock has dropped from $305 to below $69 in a year. Wall Street is worried about Netflix's profitability because of its slow subscriber growth and high programming costs. But Netflix is viewed by many analysts who follow the content and content delivery industry as a de facto cable company: It has over 20 million subscribers; it has content deals to syndicate TV shows and movies from most of the major media companies; and it has a current annual sales run rate of over $3 billion and net income last quarter of $62 million. Shareholders who have abandoned the company think it may have a net loss next year. But Netflix has a strong balance sheet with $350 million in cash. The most likely buyer of Netflix is one of the two satellite TV companies -- Dish Network (DISH) or DirecTV (DTV). AT&T (T) and Verizon (VZ) may also make offers as a way to bolster their fiber-to-the home products. Both the two big telecoms and satellite companies lack weapons for their battles with the cable companies. Netflix's huge content delivery system and its content licenses could change that. The parent of these recently merged companies now operates the largest airline in the U.S. Fears of high oil prices and a new recession drove shares from nearly $30 last November to under $16 recently -- though it was back in the $19 range on Dec. 29. The airline has three critical factors in its favor. The first is that it's still in the early stages of slicing out the labor, reservation system, and route redundancies left from the merger. If Northwest's marriage with Delta (DAL) is any guide, United Continental (UAL) will save tens of millions of dollars in costs per year. This will substantially improve operating margins and thus EPS. The second factor is that the oil prices rally is over. A jet fuel cost increase of 20% or 30% from current levels is no longer a strong possibility. Finally, the AMR Chapter 11 should be a windfall for United Continental. The bankruptcy of a major carrier allows it to unload planes and cut routes. This lowers passenger capacity for the entire industry. And lower capacity means all carriers have a chance to raise ticket prices. The argument that the Groupon (GRPN) phenomenon will turn out to have been a fad has driven its shares from an IPO price of $20 and a recent high of $31.14 back down to around $22. But recent analysts calls on the company include three "buys" from Barrington Research, Hudson Square Research, and the Benchmark Company. Groupon's CEO recently wrote that "We sold over 650,000 Grouponicus deals between Black Friday and Cyber Monday -- an increase of over 500% from last year." The news caused the stock to rally more than 30% in two days. The major concern about Groupon is that it will be flanked by direct competitor LivingSocial, or online coupon deals from large retailers such as Walmart (WMT). But that has not happened yet, and if there was ever a time for these companies to make a large push, it would have been during the holiday season. Groupon also has an important advantage in the e-commerce world. Like Amazon.com, it was the first significant company to enter its market and still holds a large lead over its rivals. In the stock market, first place usually means a premium price. Gannett (GCI) trades for around $13 now, but several newspaper analysts recently told Barron's they expect shares of the nation's largest newspaper chain to move to $16. These analysts also forecast Gannett will double its dividend. That prediction is probably too conservative. Consensus estimates are that EPS will increase next year to $2.18 from $2.12 this year. That is an impressive gain for a company in a dying industry. One of the things about Gannett that is rarely mentioned is that its online properties had 43.6 million unique visitors in October. That is more than Twitter or LinkedIn. Yet Gannett has a market cap of $3 billion, while LinkedIn's is $6.4 billion, and Twitter was recently given a valuation of $7 billion. It is also lost on many investors that Gannett is a huge and profitable corporation that continues to cut costs and pick up revenue online. Last year, Gannett had total sales of $5.4 billion and net income of $622 million. Gannett has a proven track record. New Web 2.0 companies can't say the same, despite their high market valuations. The No. 3 cellular carrier will not be independent a year from now -- it has too much debt and too little traction as it tries to add subscribers in a saturated U.S. market that's dominated by AT&T and Verizon Wireless. However, Sprint (S) has several assets a larger company would find attractive. The first is its 50 million subscribers. The second is its 4G WiMax network. The company is also building a second 4G LTE network. To duplicate these assets would take billions of dollars. Korea-based SK Telecom approached Sprint about a buyout three years ago. Sprint's cash and debt position was better then, and the U.S. company was able to turn down the offer. And SK is only one of several large overseas telcos that would like to have a position in the world's second-largest cellular market. Now that the T-Mobile buyout deal with AT&T has failed, parent Deutsche Telekom (DT) can use the AT&T $4 billion breakup fee to rebuild its presence in the U.S. But Deutsche Telekom knows that its No. 4 spot in the U.S. is not a viable position. But combine T-Mobile's 35 million subscribers with Sprint's 50 million, and it would have a number close to AT&T's total. And it's a good time to buy: Sprint's shares have fallen from a 52-week high of $6.45 to $2.28, dropping its market cap to only $6.8 billion. The most troubled large bank in the U.S. has been on several lists of stocks that could double in 2012. That seems improbable ... until one carefully reviews the premises. B of A (BAC) has three severe problems. The first is that it is in too many low-margin businesses. Some of these are related to consumer banking and others to its large presence in the mortgage business. But the bank has announced 30,000 layoffs, and, as it looks for more inefficiencies, that number will grow. The financial firm's second problem is that its large pool of mortgages has lost a great deal of its value. Still, much of that value has been written down already. Any recovery in the housing market will help the bank rebuild its balance sheet as these home loan assets appreciate. The third problem is that Bank of America is in litigation, or is about to be, with several states over how Countrywide Financial, which it purchased, packaged mortgage securities and sold them to other institutions. All of the other large U.S. banks are involved in similar suits. Once this litigation is settled, a large overhang that has pressed down on its stock will disappear. Finally, lost in the conversation about Bank of America's share price is that the consensus estimates for EPS next year is $0.97 up from $0.02 this year. The smart money on Wall Street sees a huge recovery in earnings. B of A was trading at $5.44 on the morning of Dec. 29, down from a 52-week high of $15.31. Investors will also want to know if this will ultimately be worth it. Just 3.6 million of Netflix's 30.1 million subscribers are international accounts, and that segment isn't anywhere close to turning a profit. The bullish counterargument is that the potential for growth is clearly larger overseas. Roughly a quarter of all U.S. homes are Netflix subscribers. After two years, the company's market penetration in Canada stands at 10%. That's impressive, but the upside is clearly there. Netflix will continue on its world tour, and investors will just have to hope that it's eventually a rewarding experience for their battered shares. 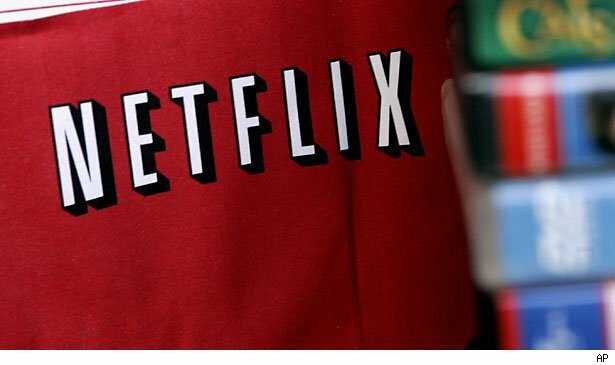 Motley Fool contributor Rick Munarriz owns shares in Netflix. The Motley Fool owns shares of Netflix and Amazon.com. Motley Fool newsletter services have recommended buying shares of Netflix and Amazon.com.